At Renewal® by Andersen of Connecticut, we love what we do. We love installing replacement windows and doors that add comfort, beauty, and value to the homes in our neighborhoods. That is why it is always nice to hear from our customers after we have completed their project. Gauging their reactions to their new replacement windows or doors helps us immensely. Feedback from people just like you provides us with much needed insight into our performance. 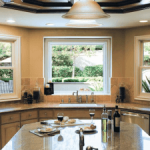 At Renewal® by Andersen of Connecticut we believe contractors that are truly passionate about improving the community should never be done improving themselves when it comes to door and window installation in Connecticut. Product quality can be measured at the factory or in a laboratory, but customer satisfaction can only be measured when we hear from you. If you have turned to Renewal® by Andersen of Connecticut for replacement windows or doors in the past, we encourage you to leave a customer review on this page.